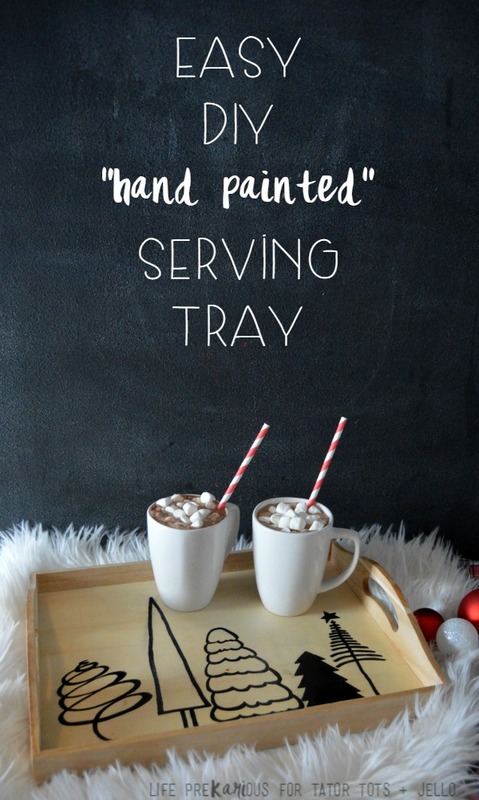 I’m a sucker for a pretty, festive beverage, especially when it’s served on a pretty, festive serving tray! 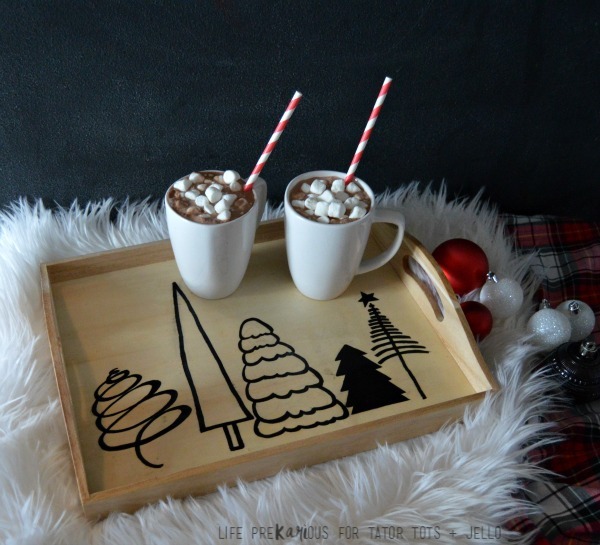 This easy DIY serving tray is my favorite piece of holiday decor this year! I am seriously loving handmade items this holiday season. This tray was so easy and adds the perfect amount of personal touch to any holiday dinner or party! 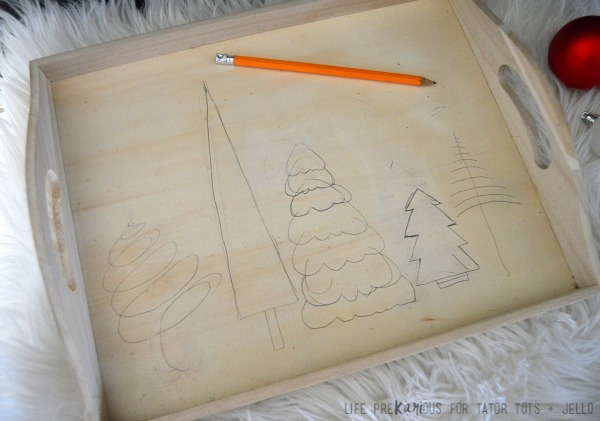 I used a simple wooden tray, a pencil, black paint marker, and spray polyurethane. First, I drew my design on in pencil. I decided on a few fun Christmas trees, but the options are endless! A bunch of different snowflakes would be great! My lines aren’t straight and it is obviously hand drawn, which is exactly the look I was going for. Once I was happy with the placement and design, I went over my pencil with a paint marker. These things are so cool. Just think of the possibilities! To finish it off, I covered the whole thing with a couple coats of spray polyurethane. The polyurethane with protect the tray from any spills and really brings out the natural color and grain of the wood. I love how it turned out! I can’t wait to use it for our next holiday party! 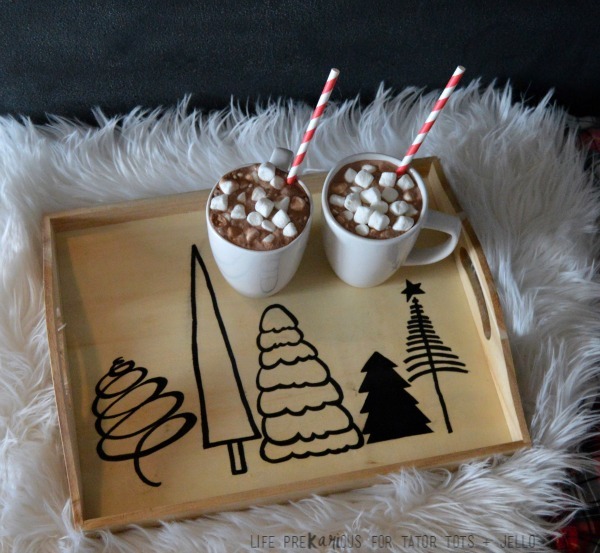 Head over to Life PreKARIous to see some of my other fun holiday decor projects! Her DIY Dinosaur Ornaments are so cute for the little one that loves dinos! She also has this great idea for a Repurposed Window Advent Calendar! She also has these super fun New Year’s Eve Chalkboard Printables! Link Party Palooza — and Gems of Utah Giveaway! This is such a cute idea! I’m always roaming the wood aisle at the craft store dreaming up things I can do with all those blank canvases. Thanks for the inspiration!